• Notes: 20bit K2 Digitally Remastered Japanese Limited Edition in an LP-STYLE Slipcase. • Laurindo Jose de Araujo Almeida Nobrega Neto was born in the village of Prainha, Brazil near Santos in the state of São Paulo. • During a long and uncommonly productive career, Brazilian guitarist Laurindo Almeida achieved a ubiquity in popular music that has yet to be fully recognized. 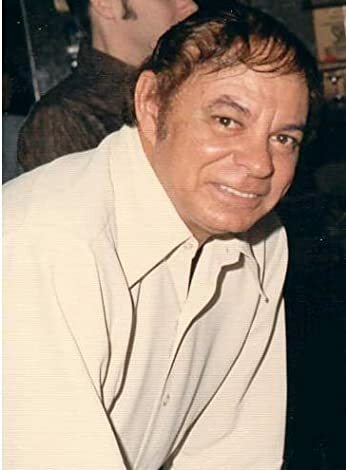 Largely responsible for the Brazilian/North American "samba jazz" that would eventually catch on in the form of a musical trend known as bossa nova, he played behind dozens of well-known pop vocalists and improved the overall texture of many a studio production ensemble. One credible estimate states that Almeida contributed to no less than 800 film soundtracks (among them The Old Man and the Sea, How the West Was Won, and Breakfast at Tiffany's), as well as countless TV scores. He also authored a series of guitar instruction books that are still in use worldwide. A master improviser and a skilled arranger as well as a brilliant interpreter of classical repertoire, he left for posterity superb recordings of works by J.S. Bach, Fryderyk Chopin, Claude Debussy, and Joaquín Rodrigo as well as a host of Brazilian composers including Heitor Villa-Lobos, Radamés Gnattali, and Alfredo Vianna. Almeida's own chamber compositions include a concerto for guitar and orchestra. • Laurindo Jose de Araujo Almeida Nobrega Neto was born in the village of Prainha near the Port of Santos in the state of São Paulo, Brazil, on September 2, 1917. He received his first musical instruction from his mother, a classically trained pianist, and credited her fondness for the music of Fryderyk Chopin as a primary influence. After observing his sister being given guitar lessons, "Lindo" borrowed her instrument and retreated to a barn where he taught himself to play entirely by ear, transferring what he'd heard his mother play on the piano to the strings of the guitar. Many years later he would declare his preference for the direct intimacy of the guitar as opposed to the more percussive piano. By the age of nine he had become uncommonly skilled and was well on the way to becoming a guitar virtuoso; it was then that he lost his father to typhoid fever. At 12 he relocated to São Paulo with his brother. He joined the Revolutionary Army at 15 and was wounded in a civil conflagration. While recuperating in a hospital he met Garoto, a nationally respected guitarist who was visiting to perform for the patients. Within a few years, Almeida would perform and record extensively with Garoto. • In 1935 Almeida moved to Rio de Janeiro, where he teamed up with singer and tenor guitarist Nestor Amaral and began working in radio while becoming active as a songwriter, arranger, and multi-instrumentalist and performing regularly at the Casino da Urea. He composed folk songs, fox trots, sambas, choros, waltzes, and comedic airs, and worked with a broad range of artists including choro master Pixinguinha. He also collected 78-rpm jazz records, and was especially fond of the way Fats Waller played the piano. In 1936, at the age of 19, he got a job (playing banjo for the most part so as to be heard) for half a year on the Cuyaba, a cruise ship that docked in every country along the coast of Europe from Spain to Germany. • While visiting Paris he was able to hear Django Reinhardt and Stéphane Grappelli in person. In 1941 he played the Casino Copacabana, and switched over to the Casino Balneario da Urca the following year. It was there that he met a Portuguese ballerina named Natalia (Maria Miguelina Ferreira Ribeiro) in 1944 and married her shortly afterwards. • After touring north with Carmen Miranda, Laurindo Almeida moved to Los Angeles in 1947, and was able to do so because of royalties received from the sale of his tune "Johnny Pedlar," made famous as "Johnny Peddler" by popular acts like Jimmy Dorsey, Les Brown, and the Andrews Sisters. He performed in Laguna Beach with Nestor Amaral, José Oliveira, and violinist Elisabeth Waldo and appeared in a variety show with vocalist Dennis Day and comedians Victor Borge and Red Skelton, and in movies with Jimmy Durante and Danny Kaye. What made Almeida so different from anyone else on the scene at the time was his practice of using only his fingers on the guitar strings; everybody else used picks. When asked who his favorite guitarists were, he gave an answer that was emblematic of his entire career: classical virtuoso Andrés Segovia and Oscar Moore of the King Cole Trio. Almeida's film production work brought him to the attention of bandleader Stan Kenton, who hired and featured him while absorbing stylistic elements of the northeast Brazilian baiao, the samba, and the choro. Kenton eventually composed "Lament" especially for the guitarist. Almeida's direct involvement with Kenton's orchestra lasted until 1952. His first album as a solo artist, Concert Creations for Guitar, was released in 1950 by Kenton's host label, Capitol. • Just as Machito, Dizzy Gillespie, and Chano Pozo had enlivened the scene with their Afro-Cuban jazz during the late '40s, Laurindo Almeida's session work during his first decade in the U.S. pollinated the modern jazz scene with rhythms and melodies from Brazil. During the years 1953-1958, he recorded several jazz samba albums with saxophonist Bud Shank that have since come to be regarded as precursors of the bossa nova trend of the late '50s and early '60s. In addition to steady session work with vocalists like June Christy, Rosemary Clooney, Nat King Cole, Bing Crosby, Doris Day, Frankie Laine, Peggy Lee, Robert Mitchum, Connie Russell, Frank Sinatra, Martha Tilton, Mel Tormé, Kitty White, and vocal groups like the Four Freshmen, the Hi-Lo's, and the Platters, Almeida collaborated with bandleader Ray Anthony, pianist George Shearing, multi-instrumentalist Herbie Mann, space age pop music's Juan Garcia Esquivel, Kenton's right-hand man Pete Rugolo, and Hollywood's master of movie music Henry Mancini. • Between 1960 and 1967 Almeida put out no less than nine pop-oriented albums for Capitol; these were in addition to at least as many "classical" titles for that label. When the bossa nova craze really set in, Almeida brought an authentic Brazilian presence to records by Stan Getz, Shorty Rogers, and Cal Tjader; he also assisted with a Harry Belafonte Christmas LP and cut an album with the Modern Jazz Quartet, touring with them throughout all of Europe. While continuing to work with Mancini, he practiced anonymity as a member of Guitars Unlimited and the 50 Guitars of Tommy Garrett, sat in with bandleader Gerald Wilson, backed Dean Martin and Sammy Davis, Jr., and shared a session with trumpeter Rafael Méndez. In 1968 he played on the soundtrack of the film Charly, based upon Flowers for Algernon, a novel by Daniel Keyes. • In 1970 Almeida was one of the musicians backing Phil Ochs on his Greatest Hits album, produced by Van Dyke Parks, who invited the guitarist back to record the album Discover America in 1972. In 1974 Almeida and Bud Shank formed the L.A. 4 with bassist Ray Brown and drummer Shelly Manne (later replaced by Jeff Hamilton); this unit would eventually turn out at least eight albums, mostly for the Concord label, with which Almeida would be closely associated for the rest of his days. During the 1980s he performed with his second wife, Canadian soprano Deltra Ruth Eamon; he also recorded several albums with guitarist Charlie Byrd and led a trio at Disney World in Orlando, FL. In 1988 he formed a three-piece unit called Guitarjam with Sharon Isbin and Larry Coryell. Laurindo Almeida never failed to get behind musicians who earned his respect, and was especially supportive of other guitarists, including fellow Brazilian Baden Powell and classicist Paulo Bellinati. At the age of 74 he cut a live album (Outra Vez) with his trio at a club near San Diego, performing (in addition to his own compositions) works by Antonio Carlos Jobim, Enriqué Granados, Thelonious Monk, Ludwig van Beethoven, Irving Berlin, and Antonin Dvorák. This intriguingly diverse selection was typical of Laurindo Almeida, who passed away on July 26, 1995, in Van Nuys, CA. • His earliest and strongest musical influence was Django Reinhardt, the gypsy guitarist. Byrd was best known for his association with Brazilian music, especially bossa nova. In 1962, Byrd collaborated with Stan Getz on the album Jazz Samba, a recording which brought bossa nova into the mainstream of North American music. • Byrd played fingerstyle on a classical guitar. • Charlie Byrd was born in Suffolk, Virginia, in 1925 and grew up in the town of Chuckatuck, Virginia. His father, a mandolinist and guitarist, taught him how to play the acoustic steel guitar at age 10. Byrd had three brothers, Oscar, Jack, and Joe, who was a bass player. In 1942 Byrd entered the Virginia Polytechnic Institute and played in the school orchestra. In 1943 he was drafted into the United States Army for World War II, saw combat, then was stationed in Paris in 1945 where he played in an Army Special Services band. • After the war, Byrd returned to the United States and went to New York, where he studied composition and jazz theory at the Harnett National Music School in Manhattan, New York. During this time he began playing a classical guitar. 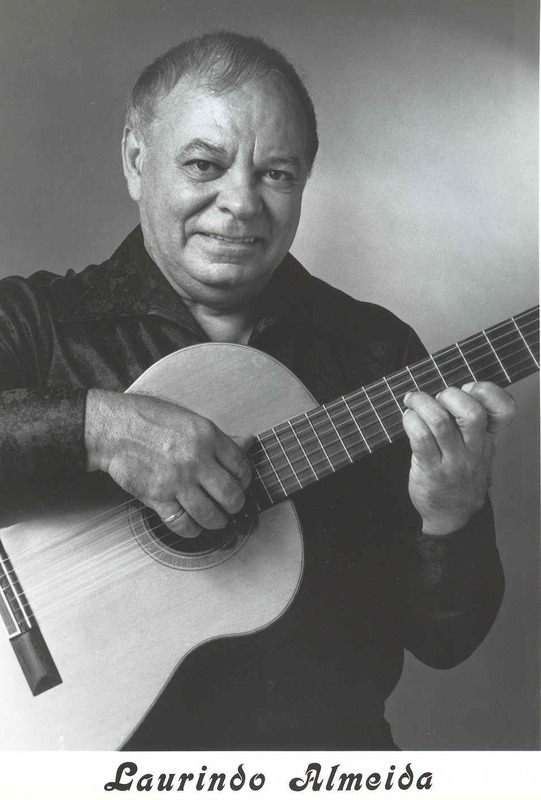 After moving to Washington, D.C. in 1950, he studied classical guitar with Sophocles Papas for several years. In 1954 he became a pupil of the Spanish classical guitarist Andres Segovia and spent time studying in Italy with Segovia. • Tasteful, low-key, and ingratiatingly melodic, Charlie Byrd had two notable accomplishments to his credit -- applying acoustic classical guitar techniques to jazz and popular music and helping to introduce Brazilian music to mass North American audiences. Born into a musical family, Byrd experienced his first brush with greatness while a teenager in France during World War II, playing with his idol Django Reinhardt. • After some postwar gigs with Sol Yaged, Joe Marsala and Freddie Slack, Byrd temporarily abandoned jazz to study classical guitar with Sophocles Papas in 1950 and Andrés Segovia in 1954. However he re-emerged later in the decade gigging around the Washington D.C. area in jazz settings, often splitting his sets into distinct jazz and classical segments. He started recording for Savoy as a leader in 1957, and also recorded with the Woody Herman Band in 1958-59. A tour of South America under the aegis of the U.S. State Department in 1961, proved to be a revelation, for it was in Brazil that Byrd discovered the emerging bossa nova movement. Once back in D.C., he played some bossa nova tapes to Stan Getz, who then convinced Verve's Creed Taylor to record an album of Brazilian music with himself and Byrd. That album, Jazz Samba, became a pop hit in 1962 on the strength of the single "Desafinado" and launched the bossa nova wave in North America. 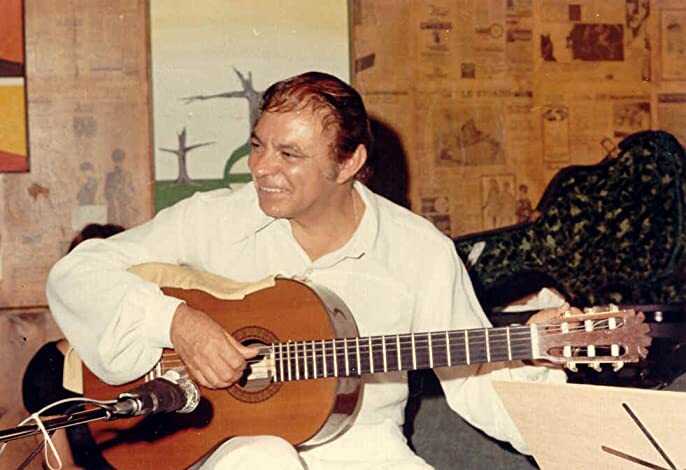 Thanks to the bossa nova, several albums for Riverside followed, including the defining Bossa Nova Pelos Passaros, and he was able to land a major contract with Columbia, though the records from that association often consisted of watered-down easy listening pop. In 1973, he formed the group Great Guitars with Herb Ellis and Barney Kessel and also that year, wrote an instruction manual for the guitar that has become widely used. From 1974 onward, Byrd recorded for the Concord Jazz label in a variety of settings, including sessions with Laurindo Almeida and Bud Shank. He died December 2, 1999 after a long bout with cancer.